In the previous tutorial we discussed about some basic features of Cain and Abel. 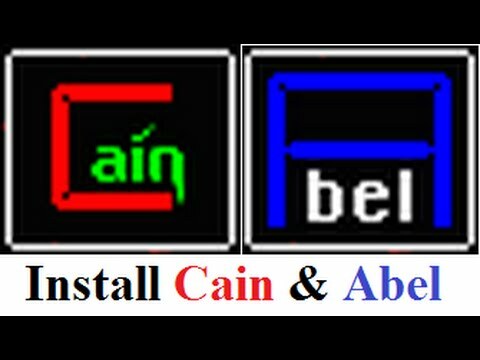 In this tutorial we will show you some basic steps to configure Cain and Abel for your System. But first of all, let’s take a look at important buttons and menus of Cain and Abel software. 1: Those two buttons are to start sniffer and APR poisoning in Cain and Abel. 2: It will show you the list of all the password captured by sniffer after APR poisoning. 3: It adds the list of networks ar export any list into Cain and Abel. This is the Network Tab. This window will show you all the IP address connected to a single Wireless network. You can start hacking those IP addresses by choosing one of them. We will discuss more about this option in our next tutorial. Let’s configure Cain and Abel for our system. Open Cain And Abel, go to Configure. On sniffer tab you will see various Adapters with different IP addresses in them. Choose one of the correct adapter that you are using and click ok. You can choose an adapter that shows a valid IP address before them. If you still don’t know which IP address to choose, then you have to try each one of them one by one. After successfully selecting a valid Adapter we can start sniffing passwords. You can find the password sniffing guide in our next tutorial. If you are facing any problem in configuring Cain and Abel, then comment below. i am really fixing problem to configure cain and abel but no way pleased help me as soon as possible. I am trying to configure and start using the cain & abel app but it keeps giving error warning,TCP Large/Giant send offloading is enabled for current network interface. How do i disable this cos the command ‘netsh int ip set global taskoffload=disable’ is not working. What can i do?